Do you have a blog attached to your website? Do you often share news from outside sources on your blog by copying and pasting the content in its entirety? Do you have old content on your website that no one reads because it is outdated? This article may be of interest to you. 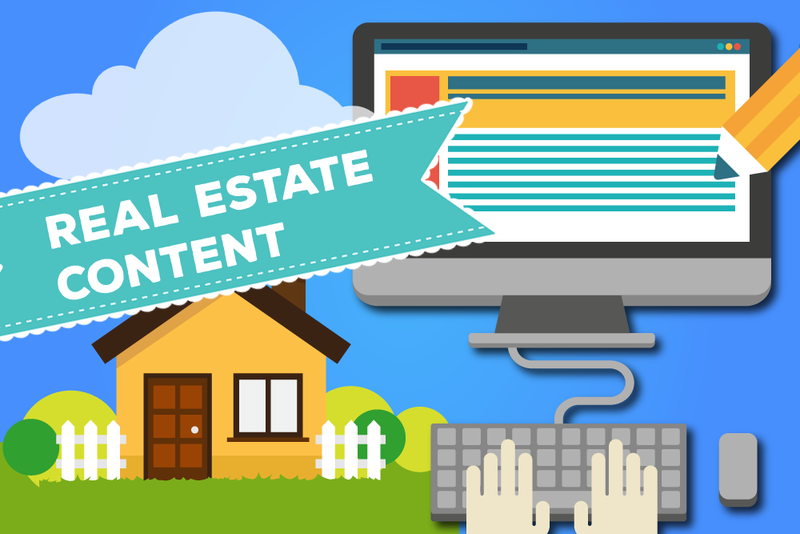 In it, our Real Estate SEO specialists will guide you on how to properly curate news articles found on the web for optimized viewing. As you are probably already aware Google has been cracking down on plagiarism, bad-quality links, spam, and other black hat SEO practices for a little over 7 years now. In April 2012, it came out with Google Penguin algorithm update. The Penguin instructed all webmasters to read over the Google Webmaster Guidelines (over 500 pages long) and ensure their website was on par with the expectations. If they were not, the website would lose its rankings and ultimately its web traffic as well. One of the things that Google Webmaster Guidelines refrains webmasters from doing is duplicating content (plagiarism). You may say that you have never copied texts from other websites and we believe you. However, as you probably already know everything is up for grabs on the World Wide Web. If you do not steal content, other trolls may do it for you. That was the unfortunate thing in 2012 because most webmasters did not care to check for duplicate texts and they got unfairly penalized. I speak of Google Penguin for a reason. Many content marketers see a great article on the web and they copy and paste the content in its entirety on their blog for easy reference. This is a practice that Google tells us to avoid. That is because if all articles are the same on 1000+ websites, how can Google determine who to rank first? In most scenarios the original publisher gets the top pick. So why publish it too? There is no reason for it. Another algorithm update, Google “Hummingbird” was introduced in September 2013. The name represents “precise and fast” and is designed to better focus on the meaning behind the words. The algorithm pays more attention to each word in a query, ensuring that the whole query — the whole sentence or conversation or meaning — is taken into account, rather than particular words. The goal is that pages matching the meaning do better, rather than pages matching just a few words. So, what can you do with news found on the web? You are allowed to provide a snippet of someone else’s article as long as it is 10% or less of your own content; less is better. This gives you a chance to review the information and provide additional insight or reflection based on your experience and professionalism. Let’s take an article you read about “The Value of Real Estate Properties Being in Decline” in a local newspaper as an example. You want your customers and prospects to really read this article and think fast about buying/selling homes. Take a snippet or quote or two from the news article and copy and paste it onto your blog. Below that, you may wish to speak of your own experiences and speak of your recent success stories. Essentially, agreeing or disagreeing with what you read. At the end of the post, it is best practice to source the information and provide a canonical link. Where Can You Find Content to Curate? Twitter is not just a microblogging platform intended for users who want to stay updated on the latest celebrity gossip and random rants. Rather it is one of the most powerful, and often under-appreciated social media channels for curating juicy content. By using either Twitter Search or a third-party tool like Followerwonk you will discover users, hashtags and trends to follow that share content specific to your interests. Scoop.it is a nexus of content curation and social media with a user-friendly interface. Simply take any topic of interest and the popular content curation site will not only generate the most relevant articles to view and share, but also suggest complementary topics and other users to follow. The site also sends you an email with daily updates of the topics you can follow to assist you with keeping pace with the most relevant news. If you liked Google Reader, Feedly is an excellent alternative, as it serves as an RSS feed to curate content on specific keywords, topics, domains, etc. You can easily organize content into boards and flag content for later reading. Feedly definitely makes curating content easier by eliminating the manual work associated with it. If you are looking for content that answers niche questions around specific industry-related topics, Quora is the place to be. Quora is all about finding the answers to questions in the most efficiency and accurate way possible. The thing is consumers no longer type in keywords, such as “real estate companies Toronto” or “real estate brokers Toronto” into search engines’ search bars. They mainly use search engines to get answers to questions like “who is the top-producing realtor in Toronto?” and “how is the real estate market this month?”. Quora is helpful because it offers a glimpse into the questions that consumers in your industry ask. Not too long ago, marketers and businesspeople of all walks of life would sign up with LinkedIn to create e-Resumes. They would then use their accounts to check your messages, catch up on an old colleague, and maybe update their profile picture. LinkedIn has made tons of changes since then – most notably LinkedIn Pulse. LinkedIn Pulse transformed the business-oriented social network from a recruiting and job-hunting tool to a one-stop shop for business news hub. There are thousands of articles being published by influencers every day that you could curate for your own blog and your viewers. Once your article is published, why not share it on LinkedIn using long form posts. You can easily become an influencer on the social network. And if you get promoted by one or more channels (i.e., social media, real estate, business), you could exponentially increase traffic to your website. Most customers have two goals in mind: 1) to stay informed and 2) to save time. Just like you, they have demands and cannot possibly keep up with all the latest news in their industry -- but they want to. Helping them with this pinpoint using content duration presents a huge opportunity for realtors and their companies to build a relationship and a lasting network. When you deliver a curated experience that saves home buyers and sellers time and money, you are taking a major step towards building trust and loyalty. Reach out to one of our Online Marketing Specialists to learn more about how we can help you grow your real estate business online.